Elba Bairon was born in La Paz, in 1947. At the age of five, dhe left Bolivia and moved to Uruguay, where she studied drawing and painting at the Escuela de Bellas Artes in Montevideo and Chinese painitng at the Biblioteca Nacional . 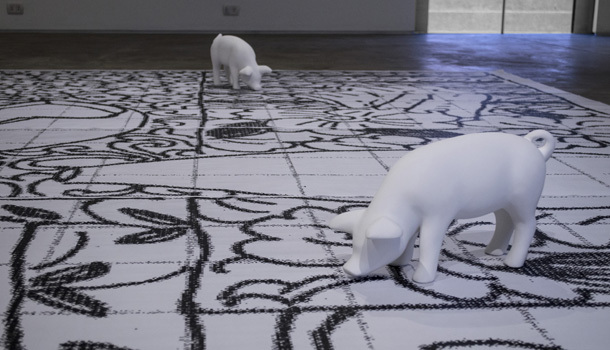 In 1967, she moved to Buenos Aires, in 1970s, her work revolved around an exploration of the drawing technique. In the 1980s, she studied print making at the Alfredo de Vincenzo and lithography with Elogio de Jesús. In 1984 and again in 1987, she received the Salon de Buenos Aires award to foreign-born printmaker. During the same years she made sets and costume design for theatrical productions of work by playwright by Demetrio Cerro. She participated in the XII International Print Biennale in Krakow, Poland (1988) The Latin-American Graphic Art Biennale at the Museum of Contemporary Hispanic Arts of New York (1988); the IX Print Biennal of San Juan, Puerto Rico (1990); Intergrafik 90 in Berlin (1990); and the Print Triennial in Osaka , Japan (1991). 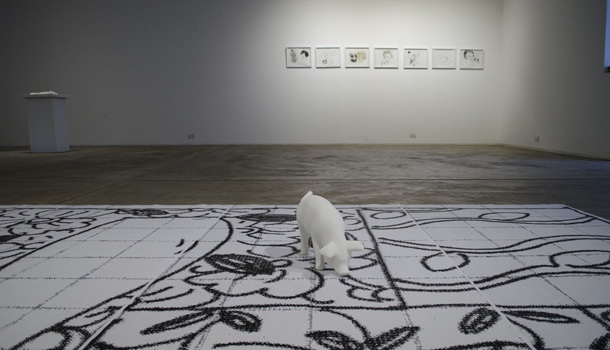 In 1996, she began working with reliefs and volumes, and making objects and installations in paper – mache and plaster. 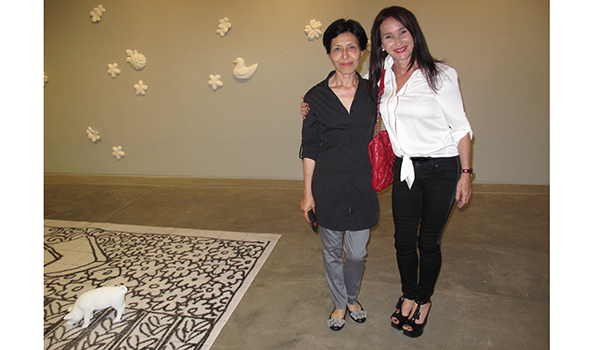 Two years later, she was awarded a grant from the Fondo Nacional de las Artes., which allowed her to begin to produce larger scale plaster relief works. In 2001, she won the Premio Adquisición at the Bahia Blanca Biennale, and in 2008 the Premio Concurso 50º Aniversario granted by the Fondo NAcional de las Artes. During these years, she participated in two residency programs; RIAA07, Residencia Internacional de Artistas en Argentina, In Ostendem Province of Buenos Aires (2007) and Residencia Capacete Entretenimentos in Rio de Janeiro Brasil (2009). Escultura y objetos, a solo exhibition of Bairon´s work curated by Grumier Mairer was held at the Centro Cultural Rocardo Rojas in 1997. She created a dance performance entitled Danza con otros at the invitation of Alejandro Cervera in 2004. 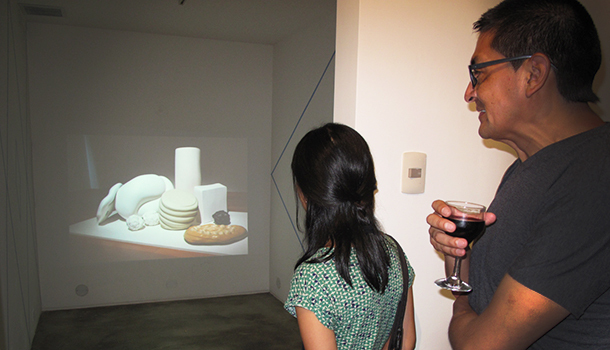 Her installation S/t, curated by Gustavo López, was exhibited at the macro – Museo de Arte Contemporáneo de Rosario in 2007. 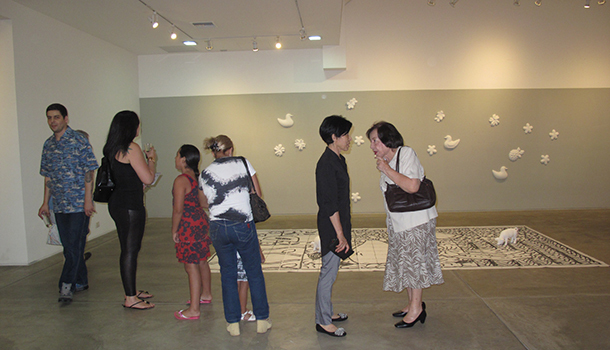 Through her experience in Brasil, her work was exhibited in the group show Elogio a la diversidad, held at the Argentine Consulate in Rio de Janeiro in 2010. 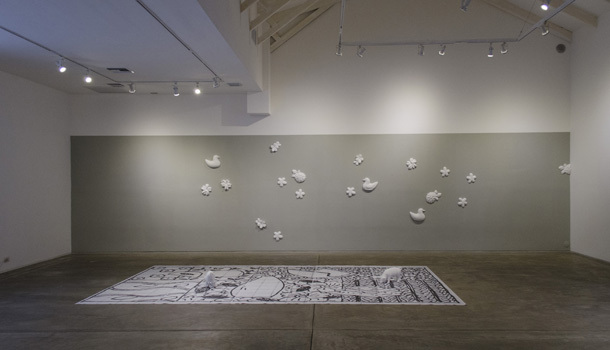 One year later, an installation created on the basis of drawings and photos from her residency in Rio de Janeiro was shown at Zavaleta Lab Gallery. 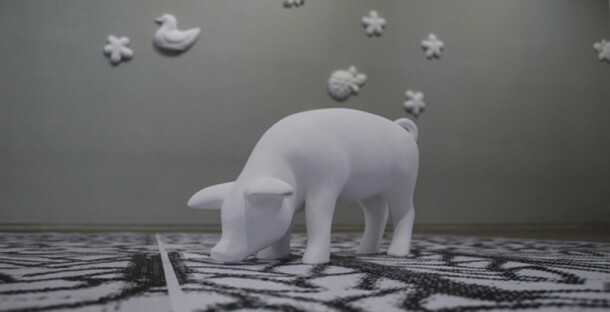 She has participated in group exhitiions at the Centro Cultural Rocoleta, Fundación Proa, Museo Nacional de Grabado, Museo de Arte Moderno Bahía Blanca, Museo de Arte of Tigre (MAT),Espacio Fundación Telefónica, Espaico Casa de la Cultura de Buenos Aires, Centro Cultural Parque de España (Rosario), Centro Cultural Borges, Fundación Federico Klemm and other museums and galleries trough out Argentina. In 2012, she was awarded the Gran Premio Adquisición at the Salon Nacional de Buenos Aires, in the New Supports and Installations category, for an untitled work from 2008 in plaster, retak bricks, wooden board and synthetic enamel. In 2012, she was awarded the Primer Premio Adquisición at the XVI Premio Federico Jorge Klemm a las artes Visuales for an untitled work in paper mache. 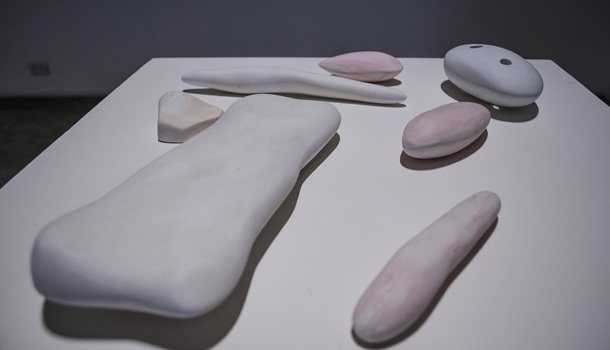 Her production formspart of public and private collections, among them: macro – Museo de Arte Contemporáneo de Rosario, Casa del Bicentenario, Museo de Arte Contemporáneo de Bahía Blanca (MACBB) and Malba- Fundación Constantini. She lives and works in Buenos Aires. Opening, jueves 12 de diciembre, 20:00 hrs.